Alberini was an engineer at the Istituto Geografico Militare who on 11 November 1895 obtained an Italian patent for his Kinetografo Alberini, a combined camera, projector and printer. There is no evidence that a workable machine resulted. Alberini nevertheless went on to become an important exhibitor and filmmaker on the early Italian scene. 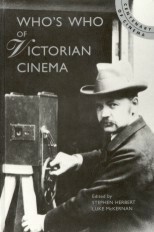 In 1897, with Anchise Cappelletti and Lionello Ganucci-Cancellieri, he produced the Cinesigrafo, which used wide film similar to the American Biograph and was first exhibited in May 1899 in Florence. 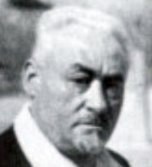 In the early 1900s he opened cinemas in Florence and Rome (the Moderno), and in 1905 with Dante Santoni founded a production company for which he made Italy's first dramatic film La Presa di Roma. In the following year the company became Cines and soon developed into a major and influential producer, not only in Italy but worldwide. Alberini continued to experiment with stereoscopy (the Autostereoscopio, 1911) and wide gauge film (the Panoramico Alberini, 1914).